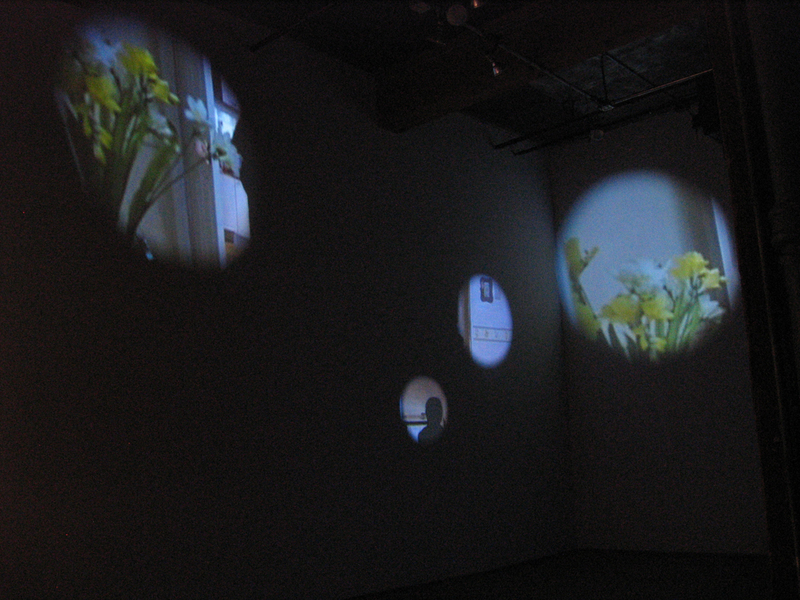 From an existing film entitled 3-iron (2004, dir. 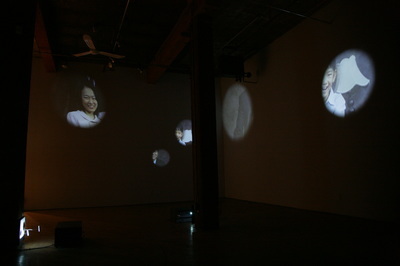 Kim, Gi-duk), a few moments of entering and exiting empty homes are extracted for this installation. 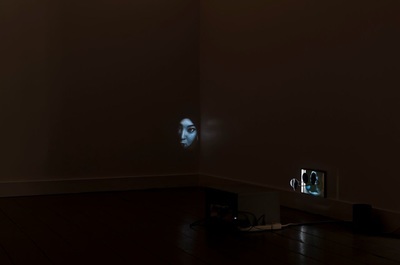 The character who comes in and out of the frame has been masked with solid black, creating only a silhouette of movement. 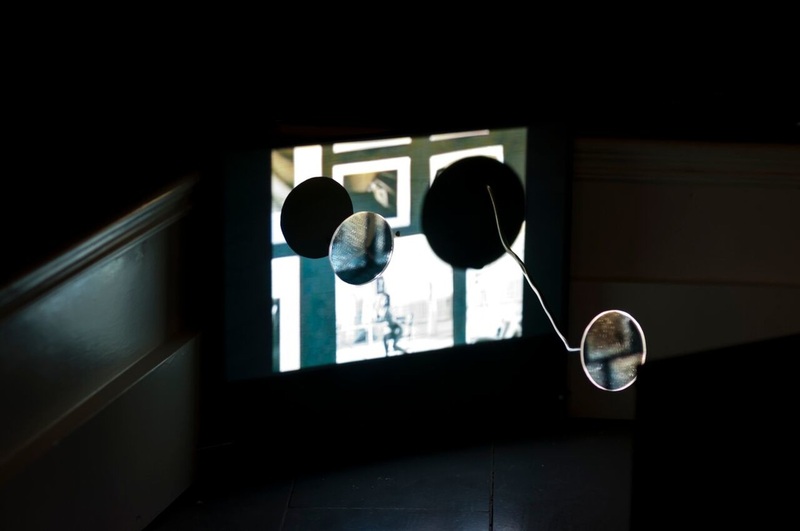 The movement illustrates the transient moment between reality (outside of the filmic space) and fictional reality (filmic space). 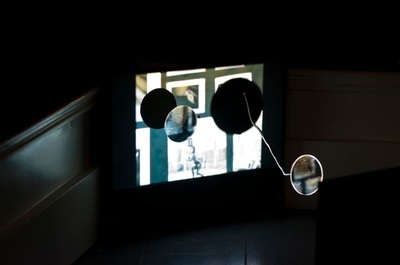 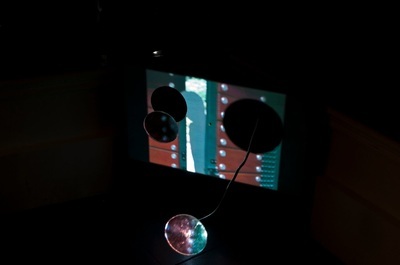 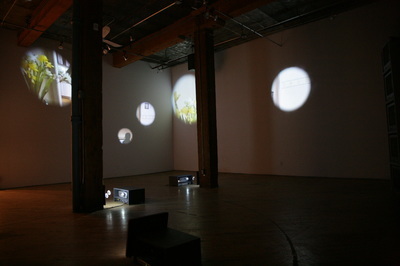 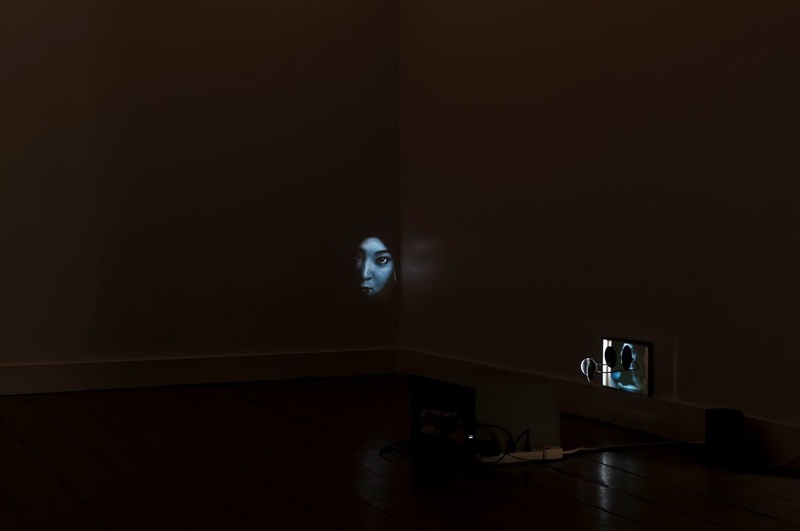 This blurring of two spaces is re-enforced by viewer’s own shadow, mimicking the character’s silhouette, as she walks around the installation space.